Each of our expansive array of amenities is designed to offer you a luxurious experience as you wait for our expertly-trained service center to repair or maintain your Mercedes-Benz. However, if there is anything else we can do to make your visit with us even more exceptional, we invite you to inform any staff member. We’ll make every effort to deliver it to you. At Mercedes-Benz of Bonita Springs, our service team has one goal: to exceed your expectations. That’s why you can count on our factory-trained expertise and only genuine Mercedes-Benz parts. When you bring your Mercedes-Benz vehicle to our service center, we promise to return your vehicle to near-new driving condition. For those who don’t have time to wait for their vehicle to be serviced or repaired, we have the perfect solution. 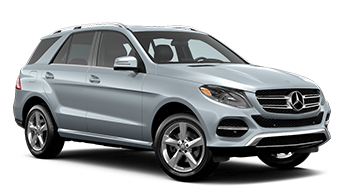 At Mercedes-Benz of Bonita Springs, when you bring your car in to be serviced, we will provide you with a comparable loaner vehicle to drive while you wait. If you’d rather let someone else do the driving for you, our complimentary shuttle service will pick you up and drop you off anywhere within a 15-mile radius. It’s all part of our ongoing commitment to put the satisfaction of our customers above all else and a great reason to choose Mercedes-Benz of Bonita Springs for all your repair and service needs. At Mercedes-Benz of Bonita Springs, our technology specialists or your sales associate can help you sync your mobile device with the mbrace® system before you drive off the lot.